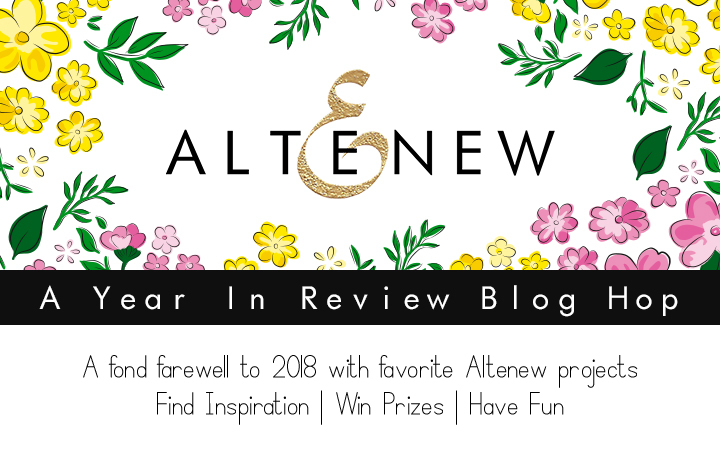 Welcome to Altenew A Year In Review Blog Hop! For the second year I have been working closely with Altenew and I never cease to be surprised by their originality and skill with which they approach their business. 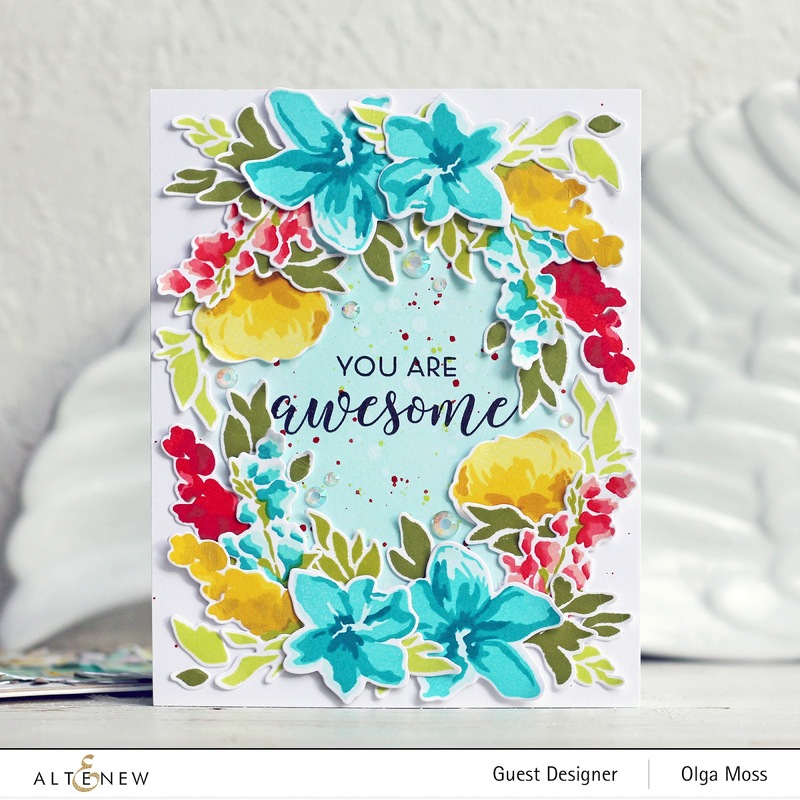 And I can say for sure that this company and their materials are the best that every cardmaker can strive for and this is certainly the best thing that has happened to me over the years. 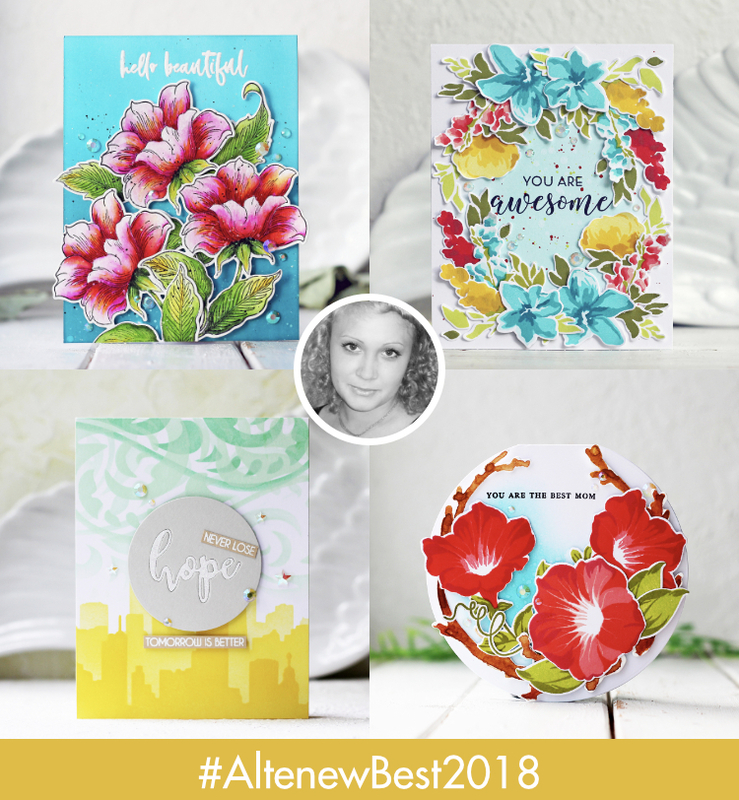 And I am so excited to join this event and share some of my favorite cards I created this year using Altenew products! Altenew is giving away a $40 gift certificate to 6 lucky winners! Please leave a comment on the Altenew Card Blog and/or Altenew Scrapbook Blog by 1/3/209 for a chance to win. 6 winners will be announced on the Altenew blogs on 1/6/2019. Also, I will give away a $20 gift certificate too. 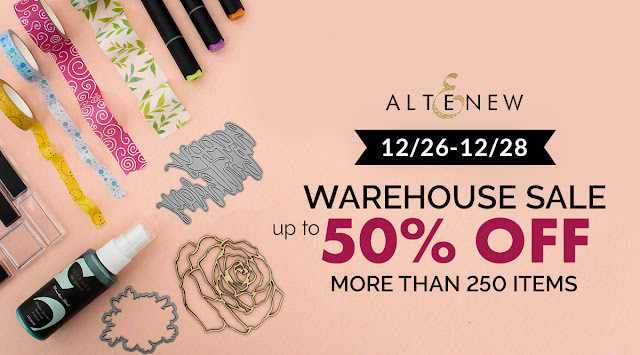 Save up to 50% off on the Warehouse Sale collection of more than 250 items including stamps, dies, inks, ink sprays, bundles, embellishments, and more. Shop HERE Valid now through 12/28/2018 at 11:59 pm EST. And I want to show you my favorite cards. 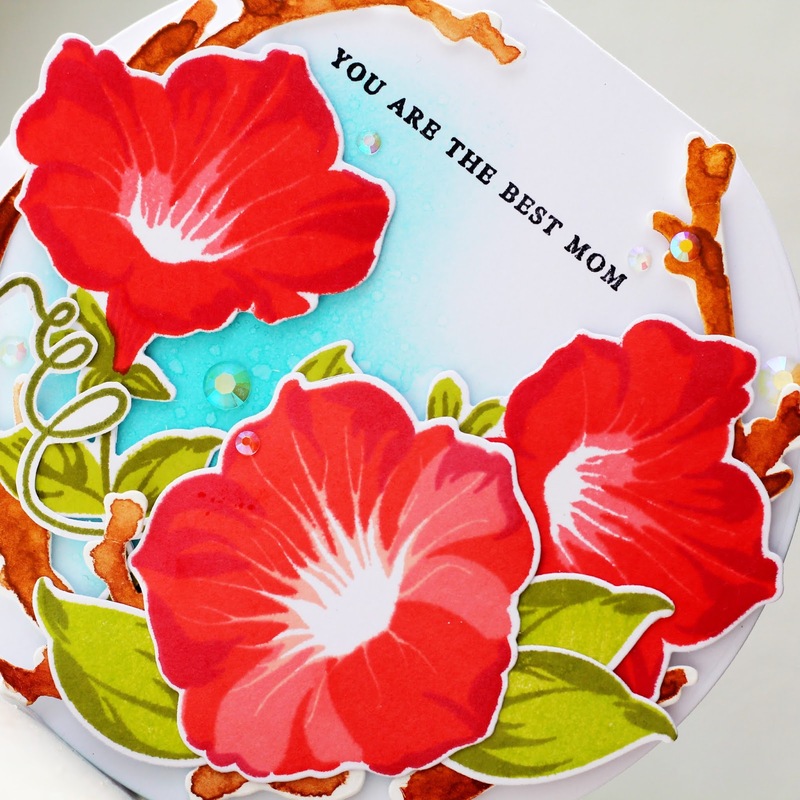 And the first one is the card with a Build-A-Flower Set - Morning Glory. This card I made for the Altenew special BAF Release in May. Another one is featuring the City Scene Stencil. The design of this card is quite simple and fast, but it turned out very charming! With this card I participated in the Altenew July 2018 Stencil Release. This year I was lucky to be a guest designer for Altenew in August and it was a great honor for me! Here are four cards I made as a guest designer. Next up is the card with the Engraved Flowers Stamp & Die Bundle, which I made for the Altenew November 2018 Release. Here I decided to paint the flowers in watercolor technique, but took only one large flower - my favorite of the set - and duplicated it several times, getting a bouquet. And my newest love is the card with Delicate Primrose Stamp & Die Bundle, which I made for the Altenew December 2018 Release. Your cards are so gorgeous! Love the bright colours. I especially love the circle cards. Wow, you have too many beautiful cards to pick a favorite! I do love the wreath that covers the entire card!! Love all your colors! Every card is so happy!!!! May the new year bring you creativity and happiness. Very true originality is was makes Altenew Best in business !! I loved your cards and second one was is my favorite. These are so unique. YOU are awesome! Every card here is awesome. I especially love the round "Mom" card. So pretty. These are all so beautiful. I absolutely love the round cards! Oh wow - I missed the round mother's day card before. It is stunning. I love it so much and just treated myself to the morning glory set- thanks for the inspiration! I love the hues you chose for your cards, especially the turquoise and lavander! Your rich, deep coloring amazes me. Each card is cheerful and lovely. This has truly been a year of amazing products from Altenew and wonderful inspiration from all the designers. It never ceases to amaze me how one product can be used in so many and different ways! Thank you for your special inspiration over the year! Really great cards! I am very impressed! Beautiful cards! Thank you for sharing & Happy New Year! Beautiful cards!! I love the colors of the Engraved Flowers card. That one is my favorite! Beautiful choices! I especially love the one with the engraved flowers stamps, that one is gorgeous! Thanks for sharing! 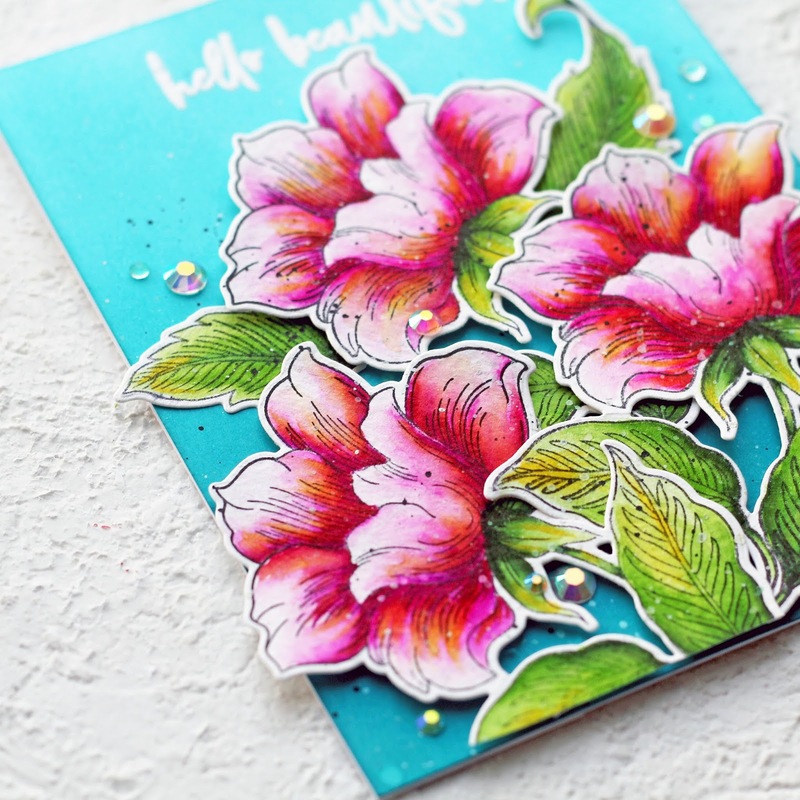 Awesome projects, I especially love the Hello Beautiful Engrave Flowers card! Your cards are so beautiful. You're quite talented with the colors you choose for your flowers. I love your bright flowers. All are so beautiful and the way you have designed your cards is just perfect! Lovely work. Your cards are each very striking, Olga! Love your designs! Soooooooooooooo fab-u-lous! I love what you have shared throughout the year! 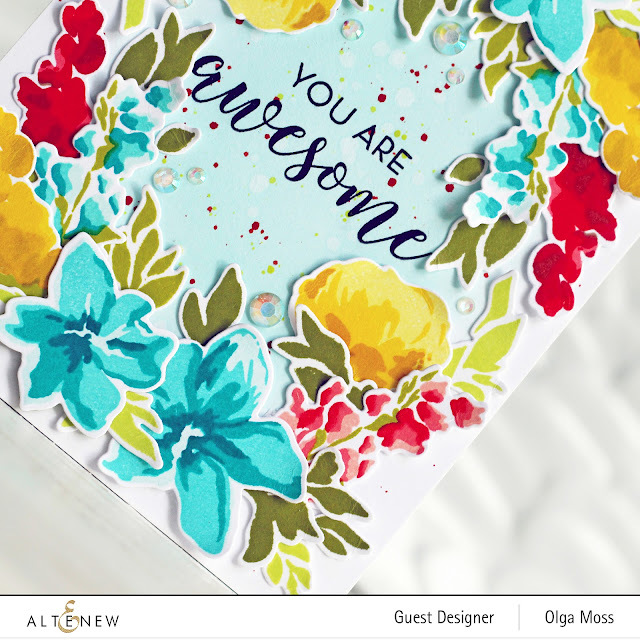 Such gorgeous designs Olga! Love the striking bold colors of your circle card. Thanks for the inspiration! I love your bright and cheerful cards! Wow! These are gorgeous! I love those circular cards. I don't remember any of these so I'm very glad you shared them again. beautiful cards Vibrant colors ! Love your projects and the circular cards are just great. The colors and coloring is also great. Thanks for sharing. great job as a guest designer! luv'd all of the blues! Your colors are so rich and vivid! Such beautiful cards! Your work is stunnimg, you use such vibrant colours & in such a pretty way, only recently seen your work but you've got a huge fan already. Here's to a fantastic 2019 for you. Gorgeous!! Your cards and creativity are amazing! 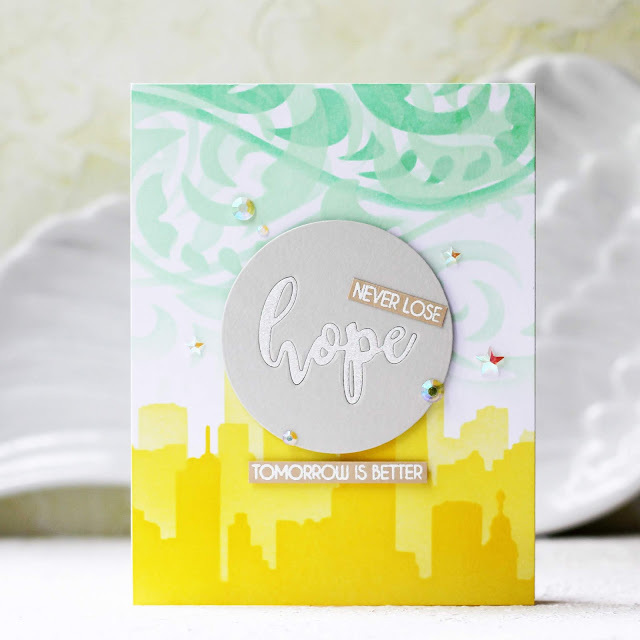 Love your bright colors and the circle card! You use such beautiful colors! Love your beautiful cards. Your coloring is fabulous. Your cards are gorgeous! I really enjoyed the inspiration I received by viewing all the designer's gorgeous work. Altenew has terrific designers and I have learned many new techniques watching them. Thanks for being one of them! Wow, that third one is so eye catching! Must be the bright colors, but also the beautiful design. What beautiful cards, I love the circle cards and the wreath look. Your cards are so beautiful Olga, your colors so vibrant they just stunned me. What a fun collection of cards. When I think of your cards, I think bold. Between the designs and the colors, they make such a splash whenever I see them. Thanks for a great year of inspiration! 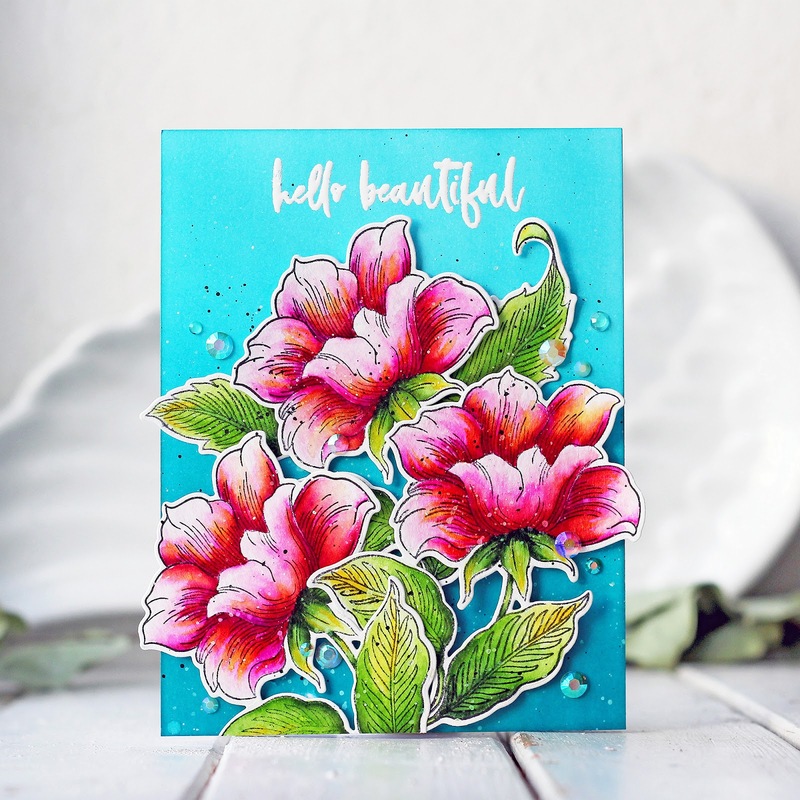 I ADORE the inky layered florals, the colours and dimension are DELIGHTFUL! Love your bold and vibrant style. Such amazing projects for 2018! Beautiful cards...love your use of stencils on the first. Wonderful and inspiring work, love how all your element colors POP! Gorgeous cards. Love them all, and the Life is Awesome bundle just jumped to the top of my wish list. Oh I love your bold colors! They are all so beautiful! Love all of these cards!! Especially the ones with the bold colors, so bright and colorful!! 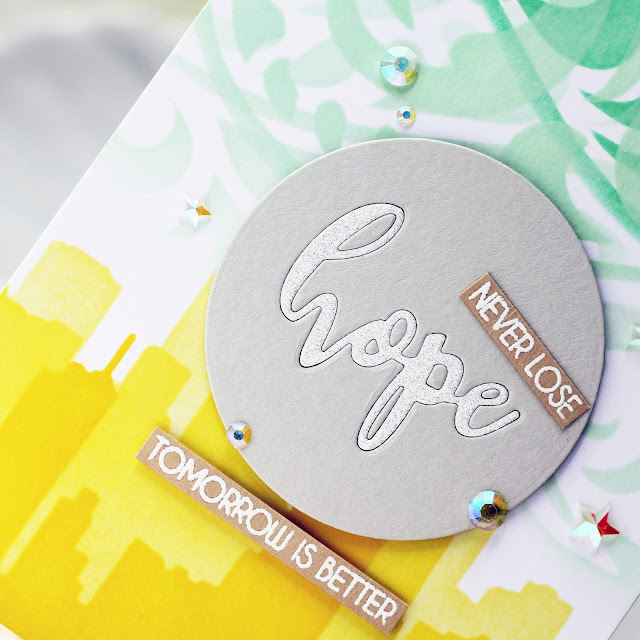 Love the choice of bold colors and the shaped cards caught my fancy with the layering. Love your cards, they are stunning. I just love the bright colors you use on your cards. Thanks for sharing! Beautiful creations! I love the round shaped beauties especially!! Gorgeous cards! 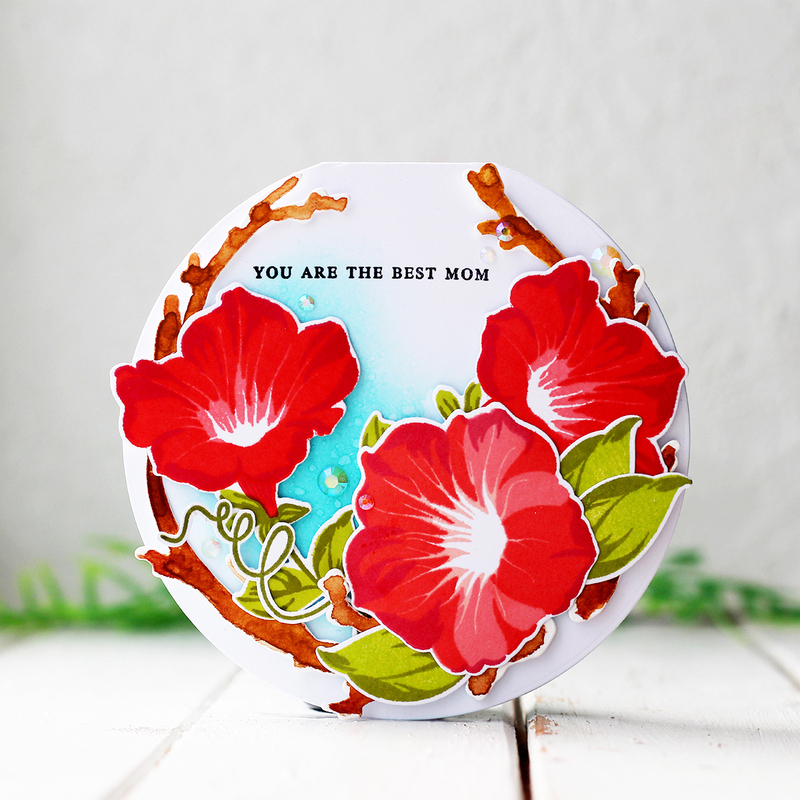 Your round card with the morning glories is stunning! You are so talented! I love your designs and colors! Beautiful! Wow Olga! Such bright and beautiful cards :) Thanks for sharing!! !